Join us at the launch of Parq! On 26th September Cross Stone Homes will be launching their new development ParQ at Preston Manor, Preston Drove, Brighton, BN1 6SD. 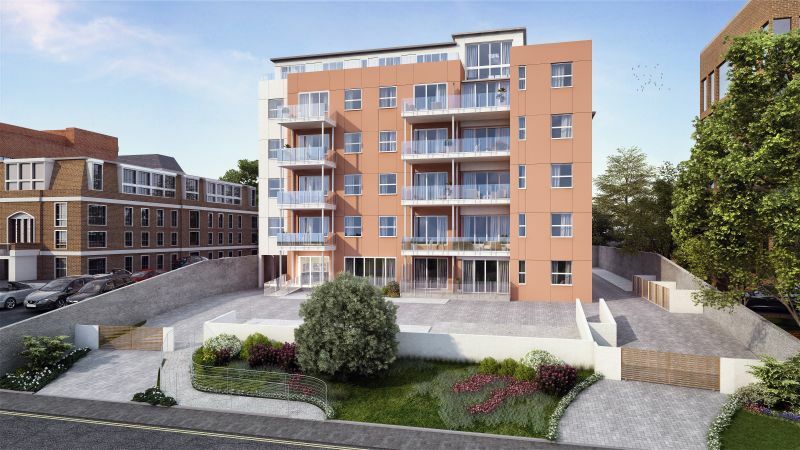 ParQ is a prestigious development of 31 luxury 1,2 & 3 bedroom apartments located in a gated environment overlooking Preston Park, whilst still being convenient for Brighton Mainline and Preston Park Railway Stations. The launch will release apartments for off plan purchase, prices start from £325,000 and include an allocated car parking space. Managing Director of Cross Stone Homes, Ross Barbour, commented ‘I am very excited with the launch of Parq it is the first residential development in the Preston Park area for many years. I am confident that our development will add to the attractiveness of the street scene and is likely to encourage more residential development nearby, in what is a sought after residential area”. James Epps residential director of Oakley commented “The majority of apartments will have a balcony or terrace and many have stunning views across Preston Park towards the tennis courts ”. "A lot of thought has been given to the specification of the apartments, which will be finished to a high standard and include engineered oak flooring in the living areas, contemporary high gloss kitchens with branded integrated appliances, stylish Porcelanosa tiled bathrooms & en suites and fitted wardrobes to all bedrooms". "Purchasing off plan enables buyers to secure their chosen apartment early and often enables them to sell their current property whilst construction continues on their new home". Work at Parq is well underway with completion set for early summer next year. To mark the off plan launch of the development Oakley are inviting interested parties to join them at Preston Manor on Saturday 26th September between 10am-5pm and parking will available on the day. If you would like further information regarding the development or to enquire how to reserve an apartment off plan, sole agents Oakley can be contacted on 01273 688881.